Mr A was 86 years old when he was admitted to hospital with urinary retention. He was found to have atrial fibrillation and a rapid ventricular beat as well as venous leg ulcers whilst in hospital. Whilst an inpatient Mr A had a number of falls which did not result in any injury. When he was assessed he had significant visual impairment and disorientation and had had progressive cognitive impairment which had worsened in the last two months. There was a delay in discharging him home due to problems with his catheter. Unfortunately whilst in hospital Mr A fell out of bed as a result of a faulty bedrail and also due to failures by the nursing staff. He sustained a fracture to his right femur neck which required a right hemi-arthroplasty. Unfortunately this in turn caused a post-operative hernia and he required a right groin exploration with repair of the hernia and an orchidectomy (removal of testicle). Mr A resided in a care home until his death the following year due to his deteriorated condition. Sharon Lam, acting for Mr A’s widow, wrote a letter of claim to the defendants who admitted breaching their duty of care under the Occupiers Liability Act but not under clinical negligence. After obtaining further expert evidence, Sharon was able to obtain an out-of-court settlement of £7,500 for Mr A’s widow to compensate for the pain and suffering he had had prior to his death. 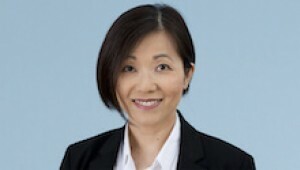 Sharon Lam specialises in geriatric care cases. If you would like to ask Sharon a question about a potential case, or if you have a general query about any clinical negligence, contact Sharon at Thomson Snell & Passmore solicitors on 01892 701270 in confidence.